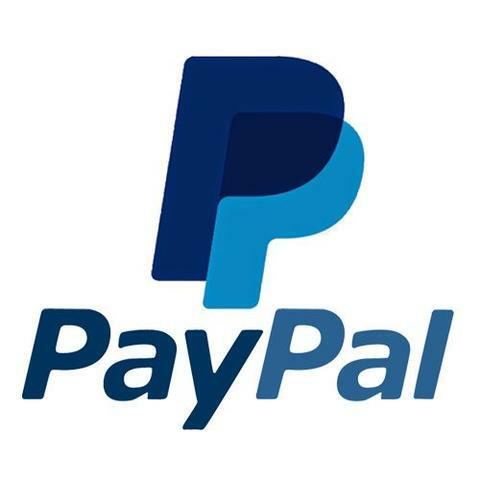 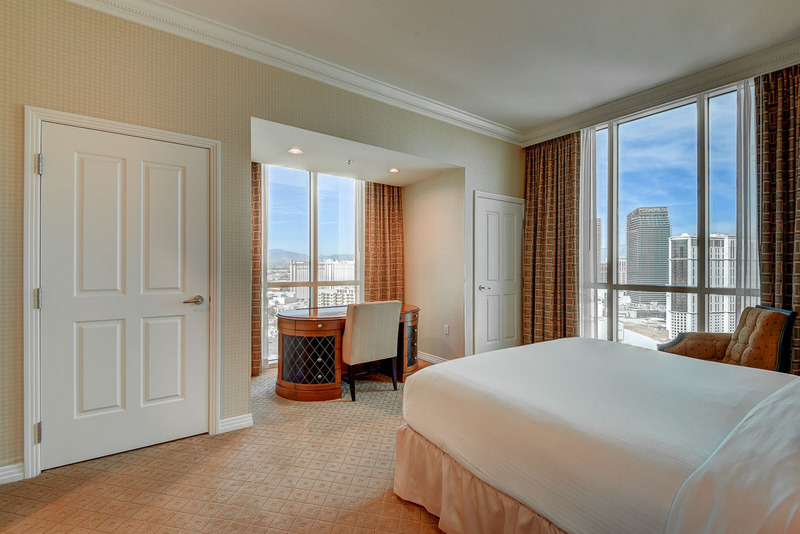 2 night minimum Sunday-Thursday, 3 night minimum Friday and Saturday. 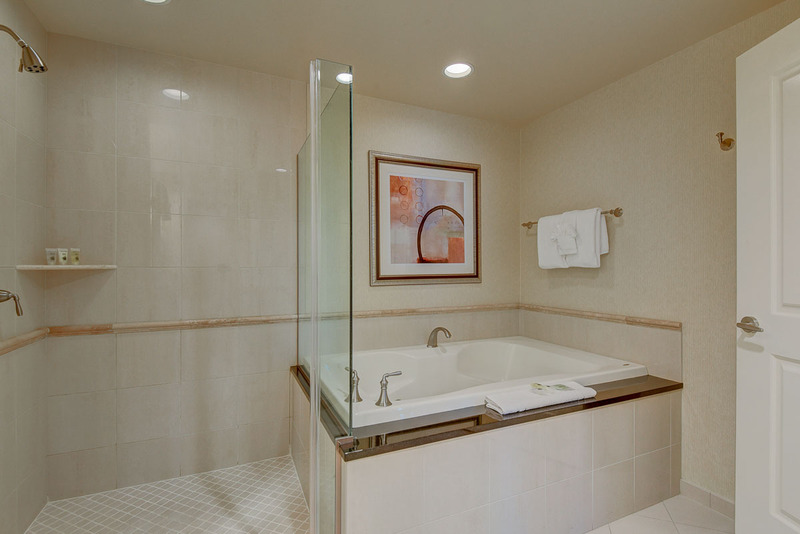 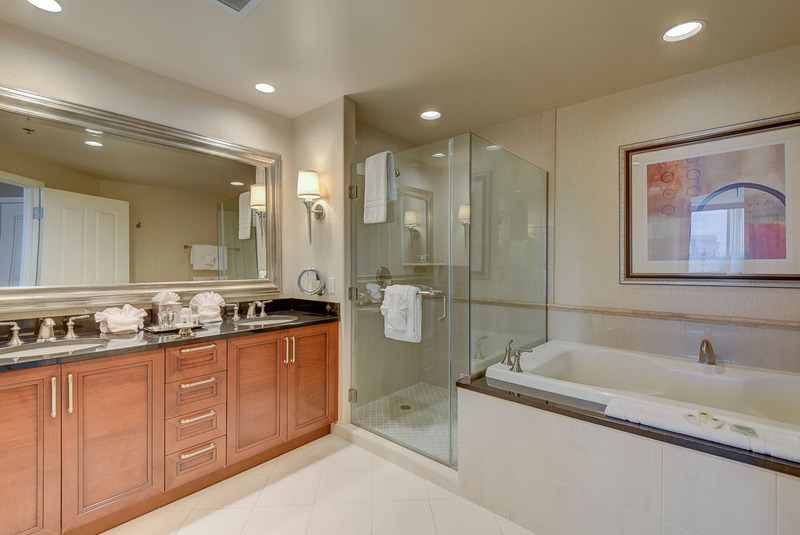 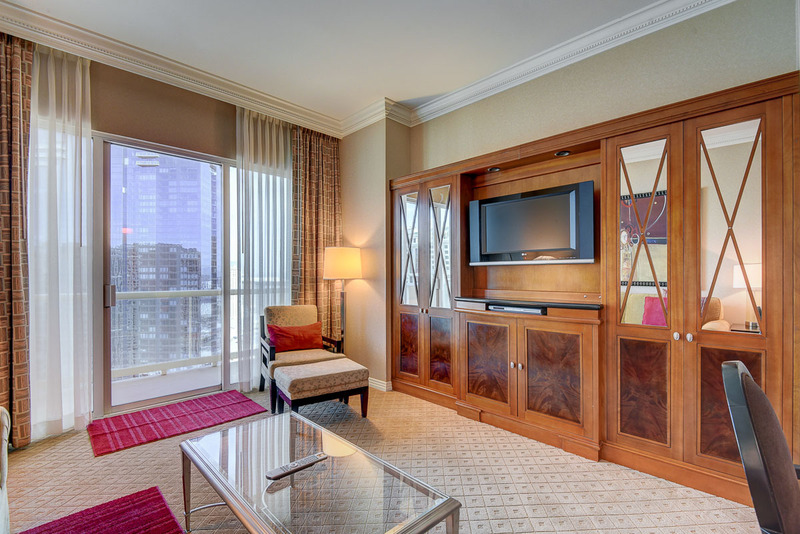 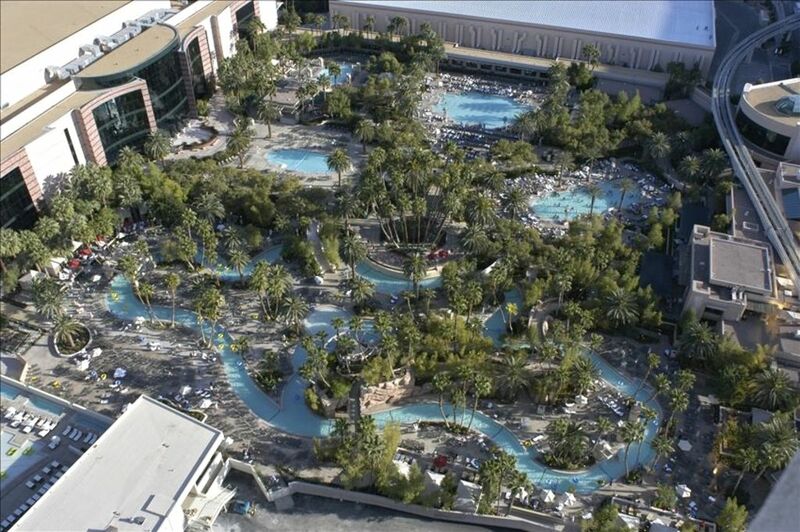 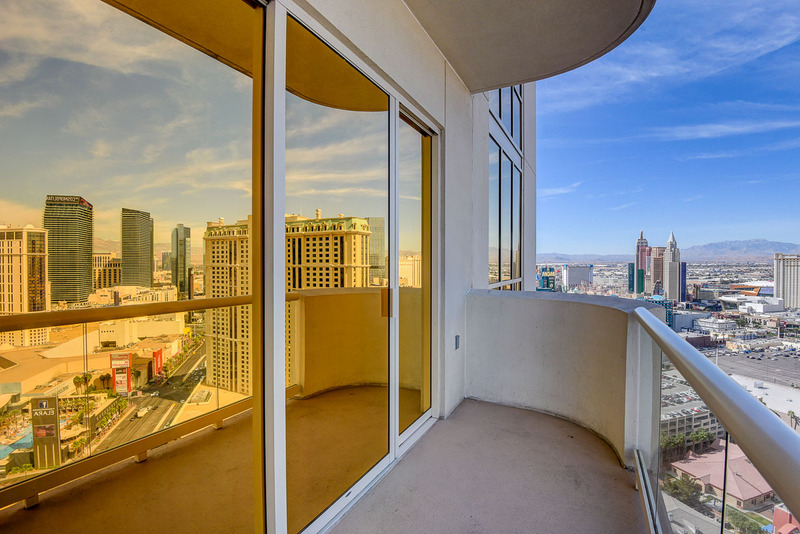 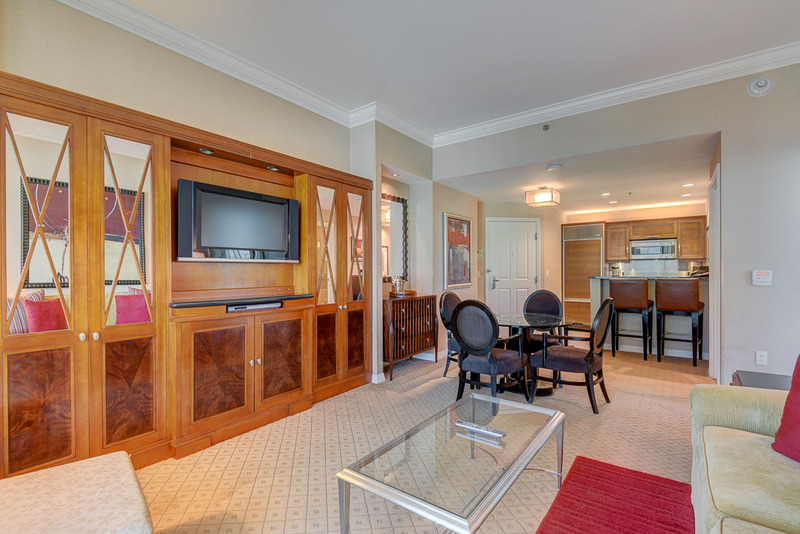 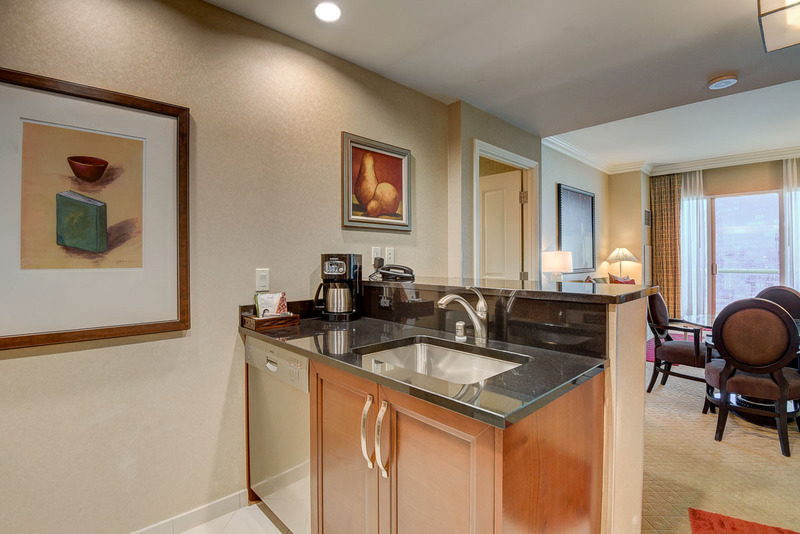 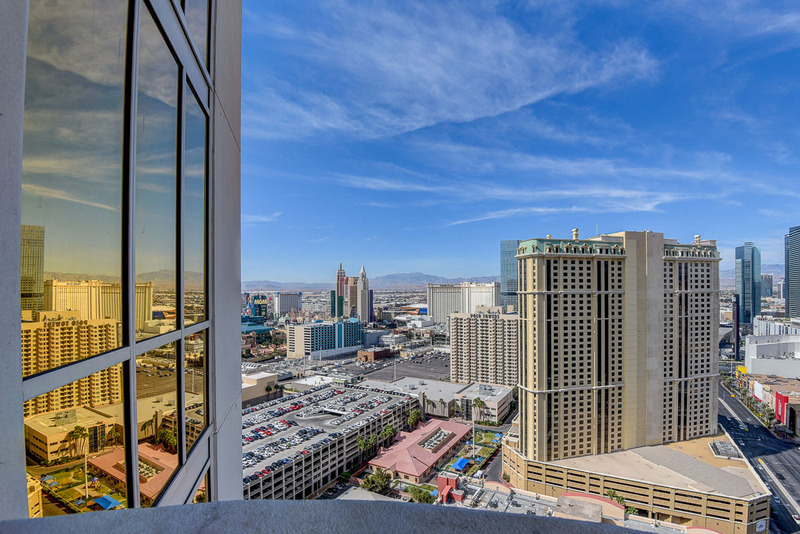 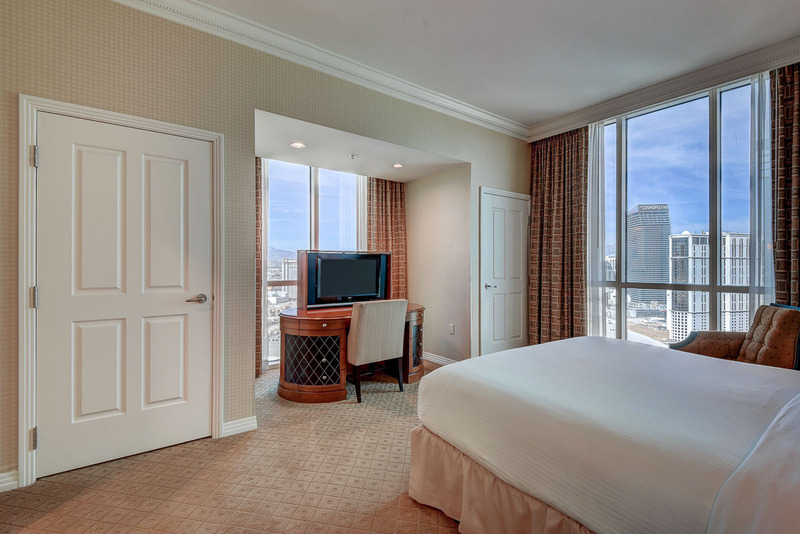 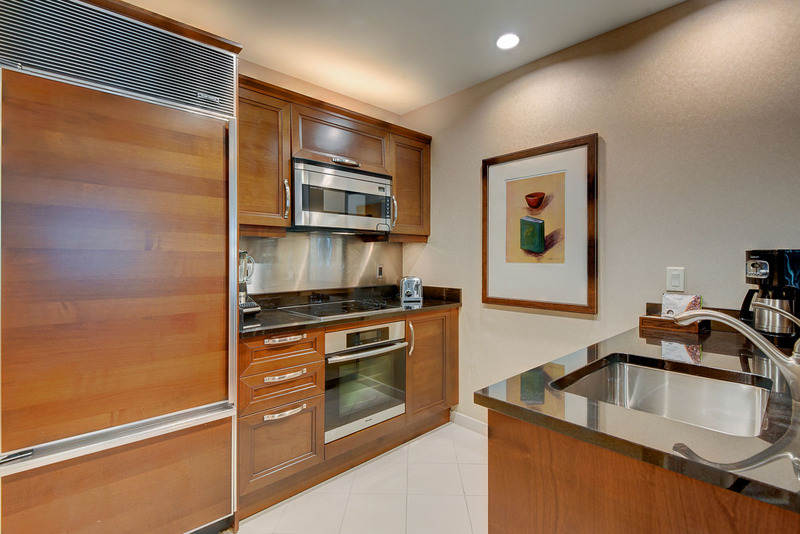 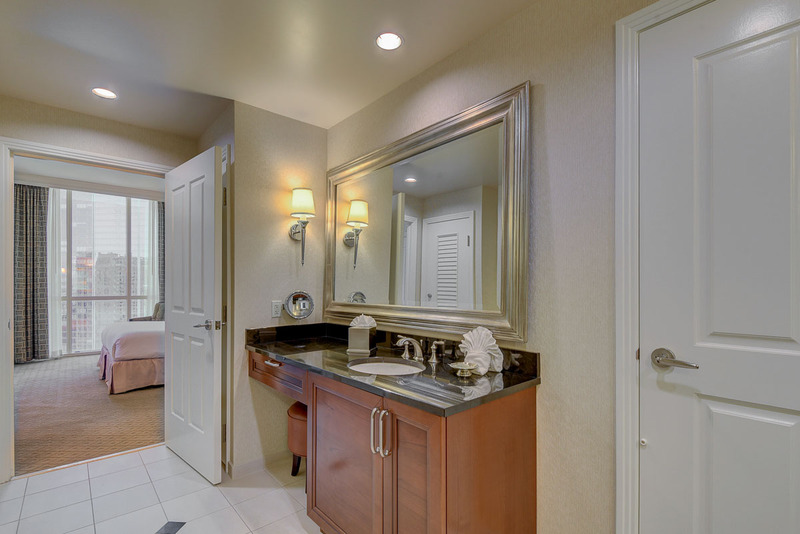 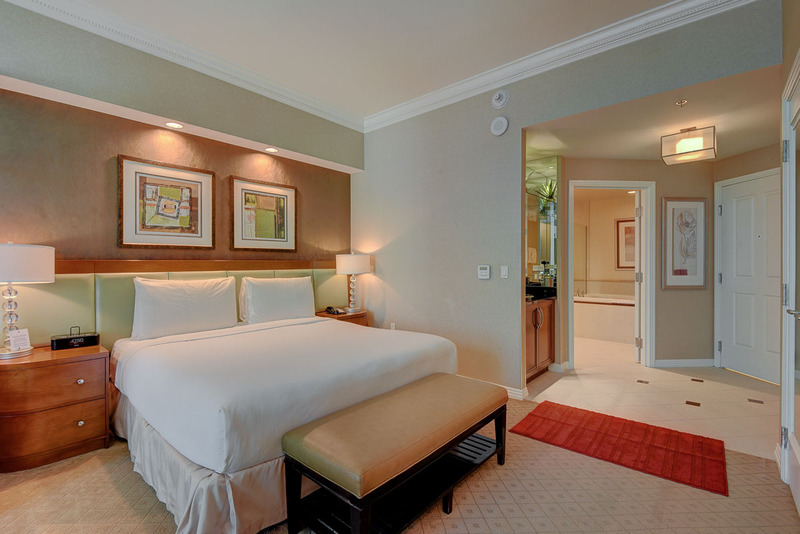 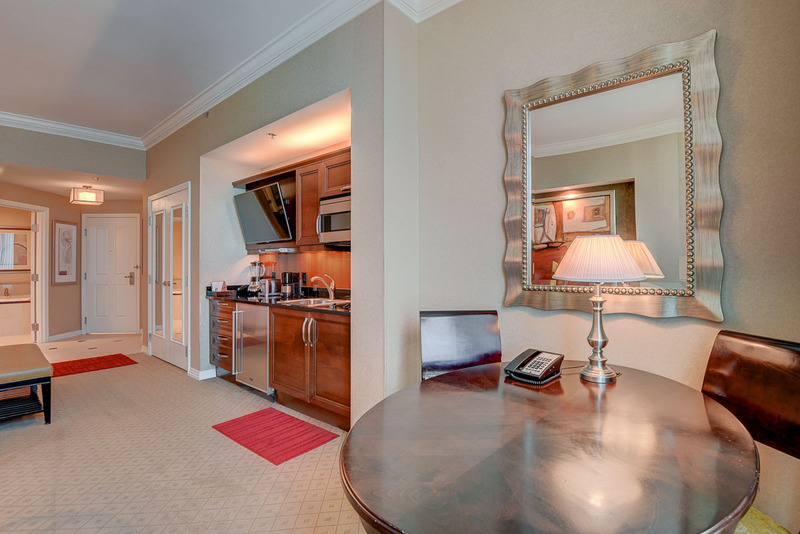 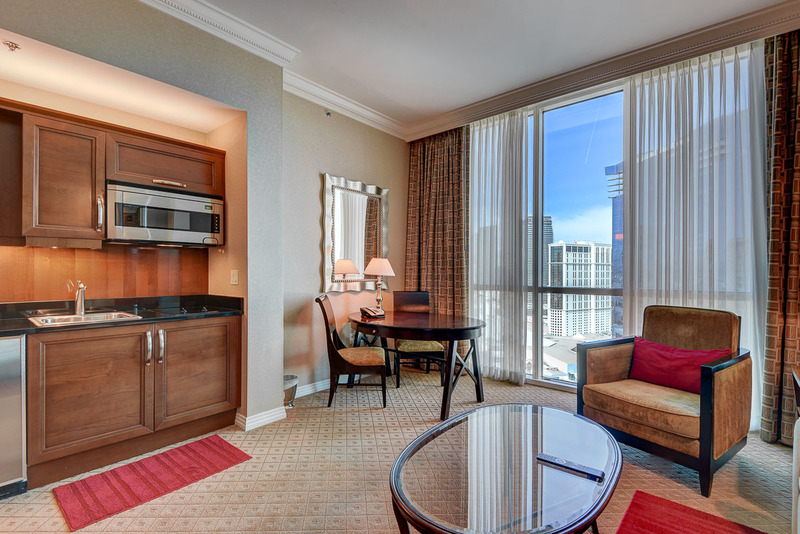 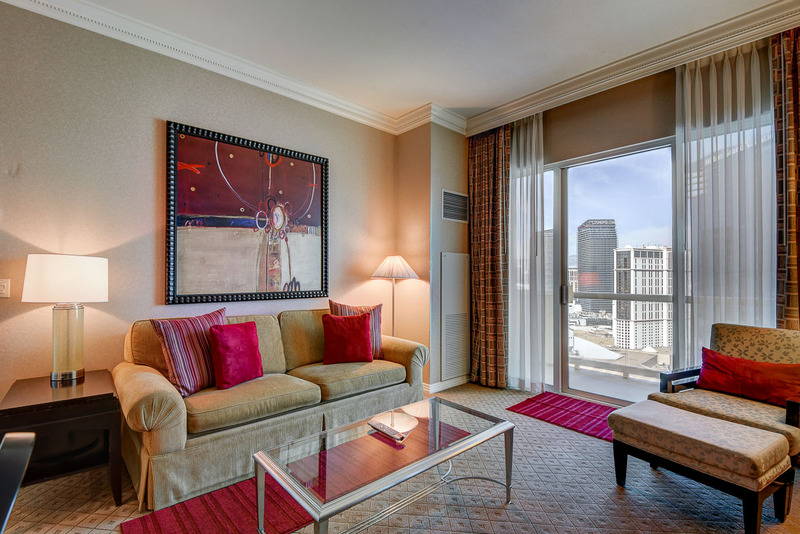 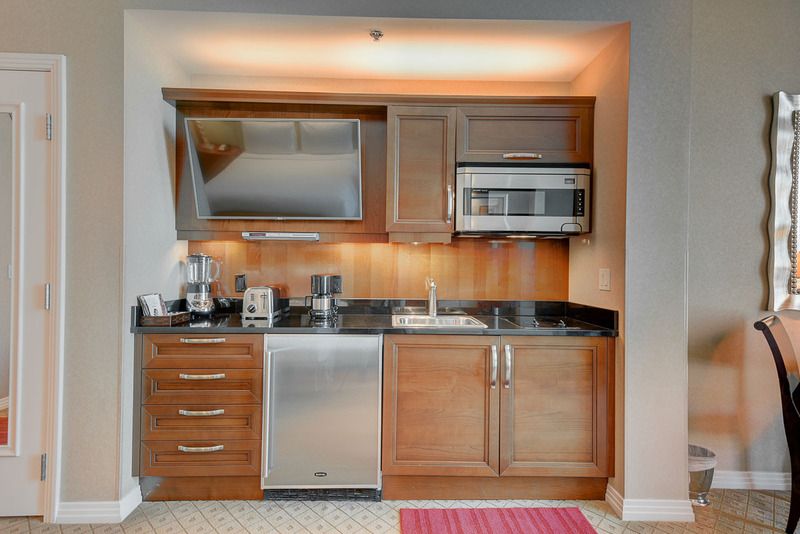 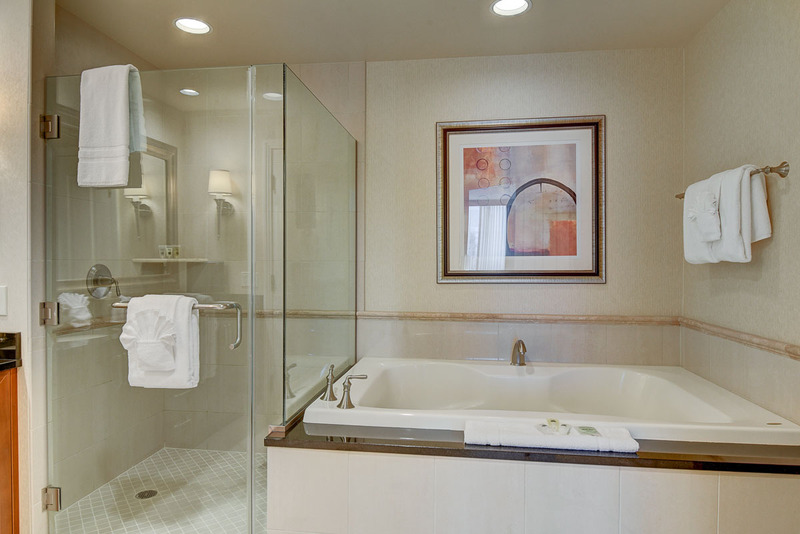 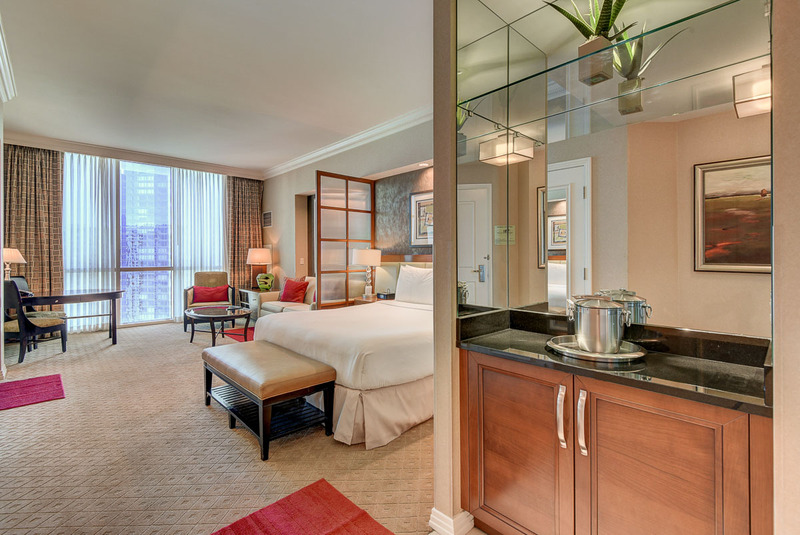 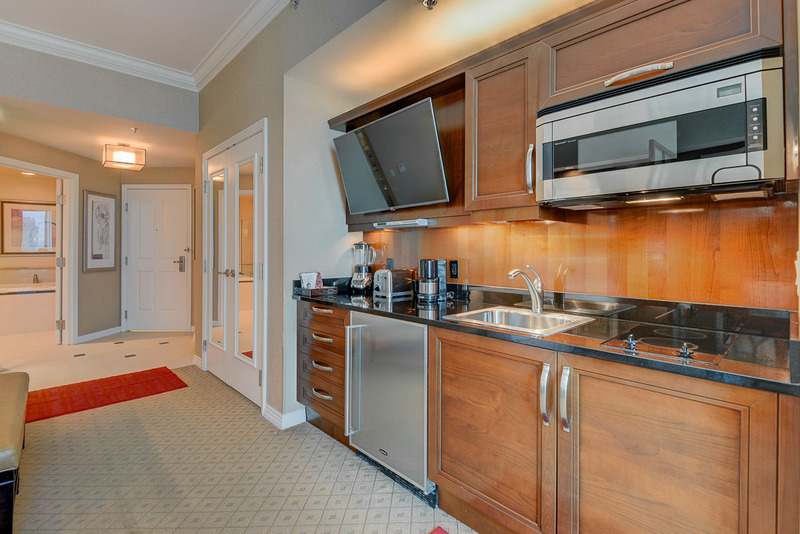 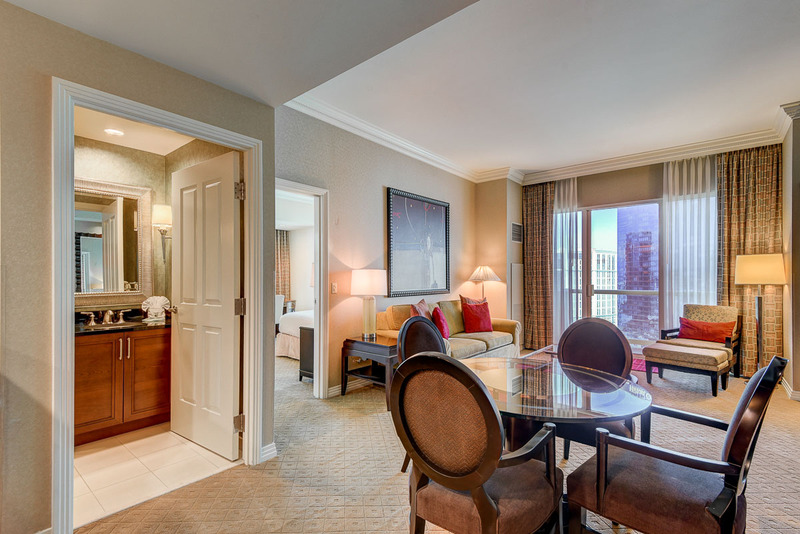 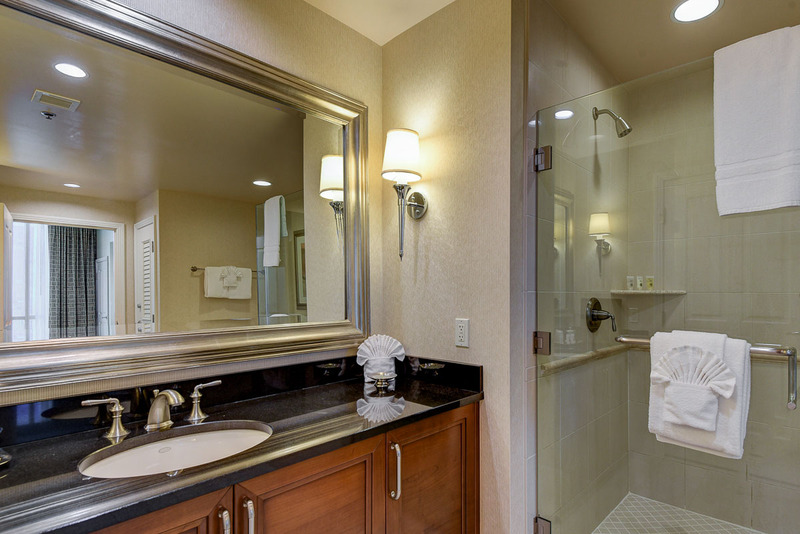 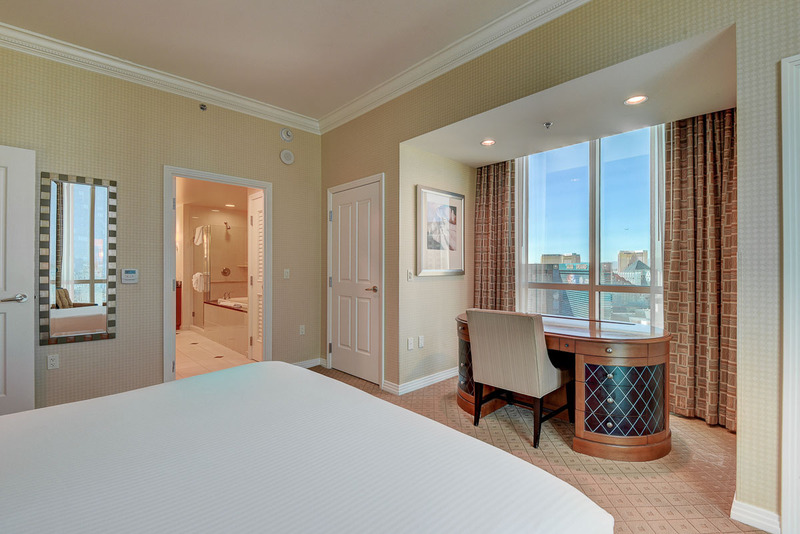 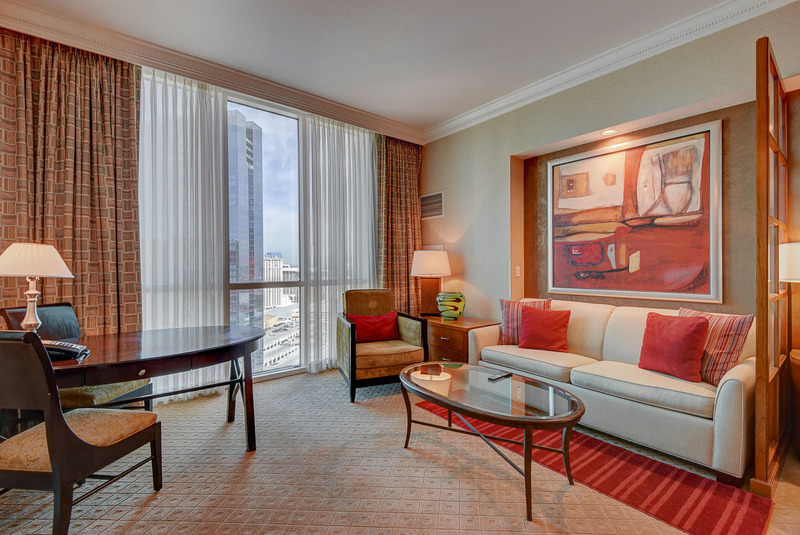 2 Bedroom 3 bath Suites with Balcony at The Signature MGM Grand Las Vegas. 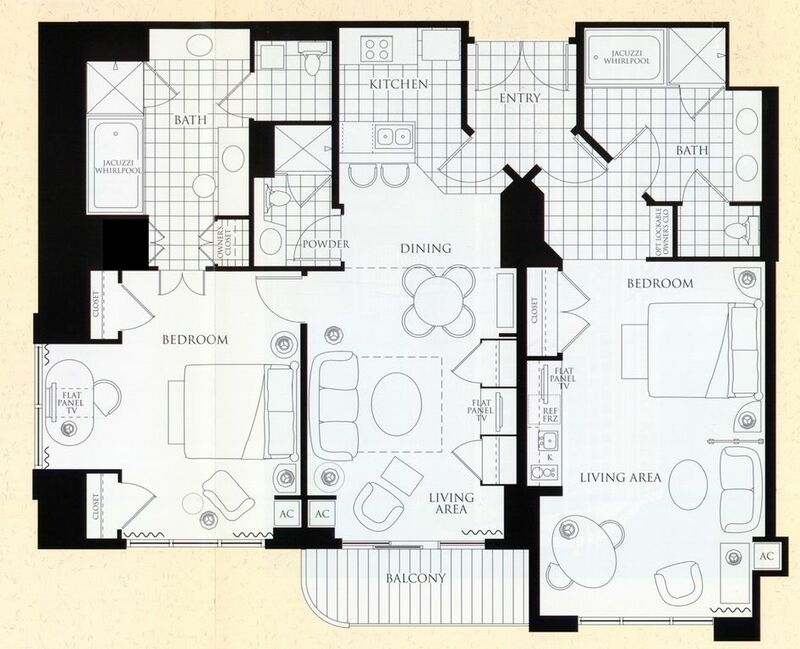 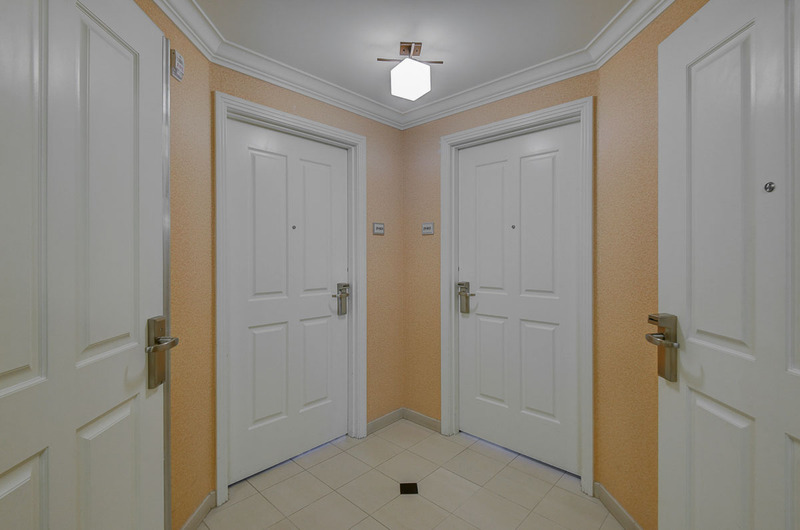 This 2 bedroom 3 bath suite include about 1500 sqft of living space with the balcony. 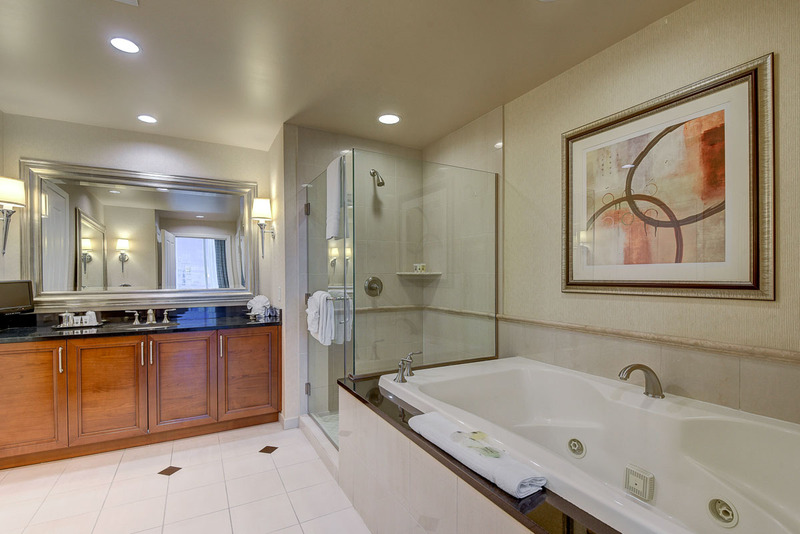 It has a fully equipped kitchen, 3 full bathrooms, Dining area, Living room, 2-king beds and 2-queen sofa beds, 5 plasma screens, 2 Jacuzzi baths, 3 Luxurious Showers, and more. 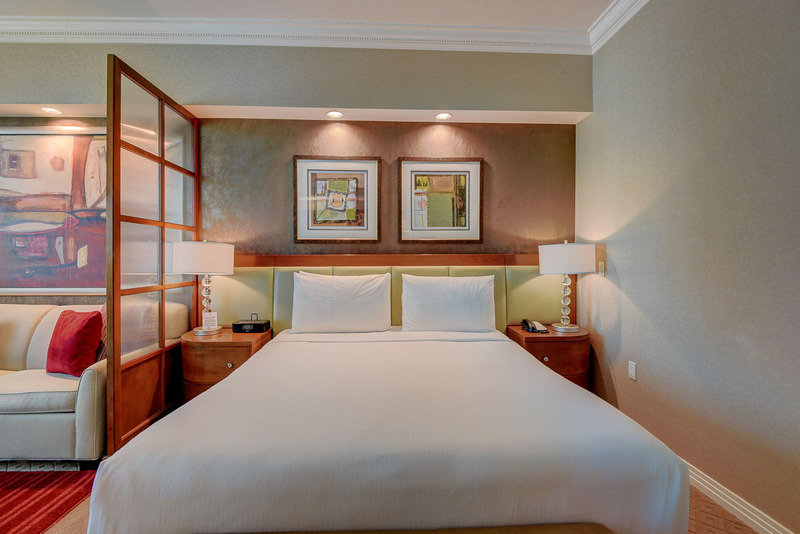 Your reservation will include full service amenities such as 24 hour concierge, 24 hour valet service, and 24 hour high speed internet Wi-Fi access (en-suite & public areas including the pool). 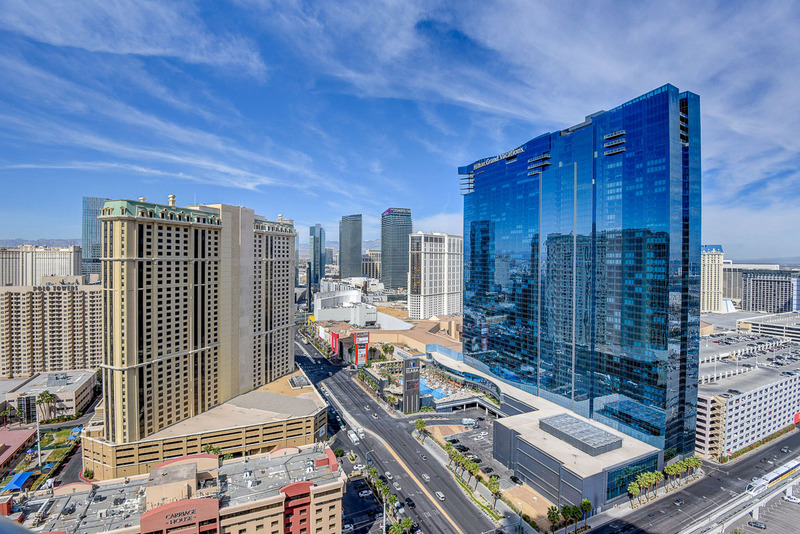 There are two fitness centers/gyms, three Signature private pools, 24 hour gourmet dining room service, onsite restaurant and Starbucks. 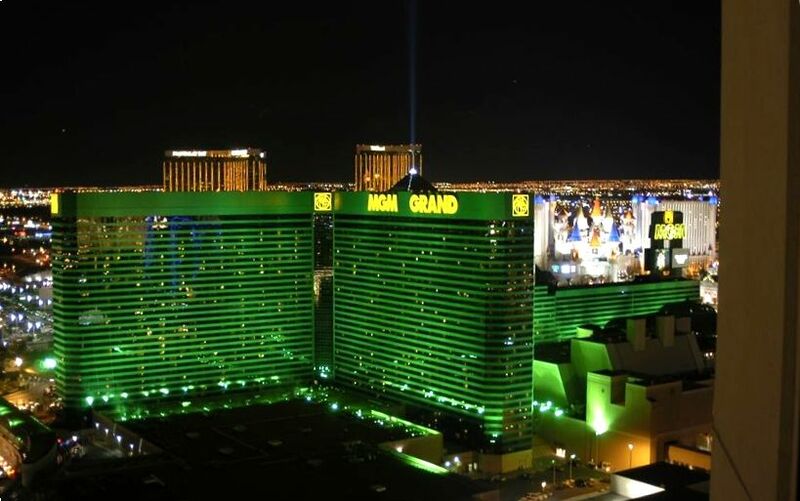 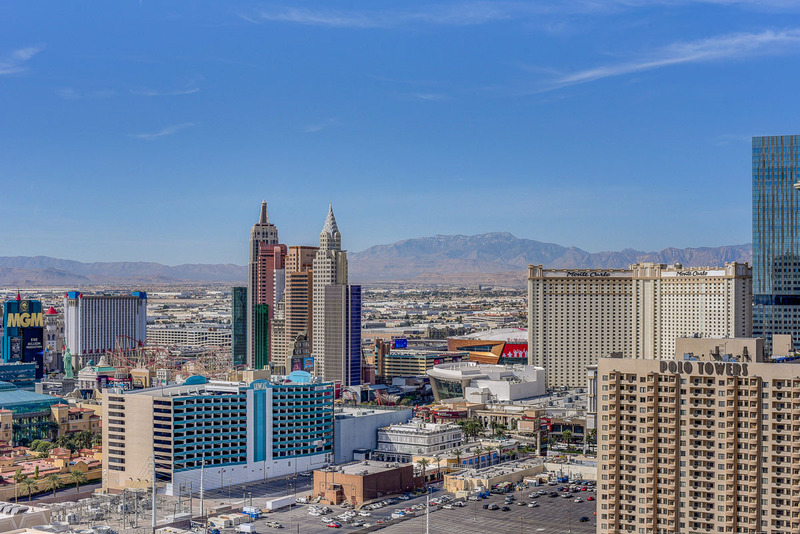 Guests staying at The Signature MGM will also have access to all of the excitement and entertainment that MGM Grand has to offer including the pools, casino and world famous restaurants. 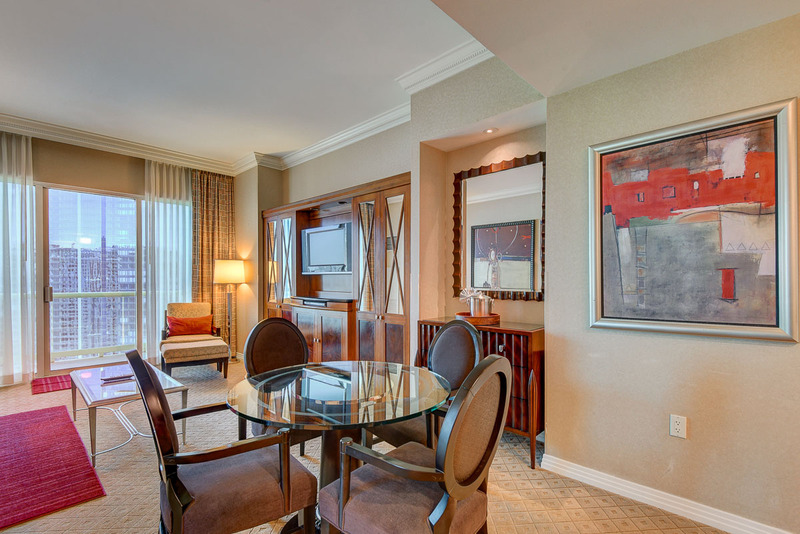 The Signature is an exclusive guard gated resort, that is connected to the MGM Grand. 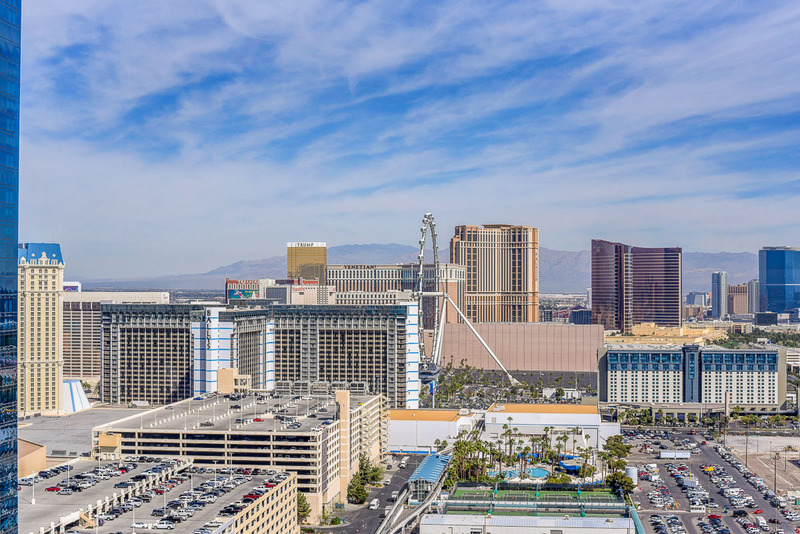 The two hotels are connected via an internal air conditioned moving walkway. 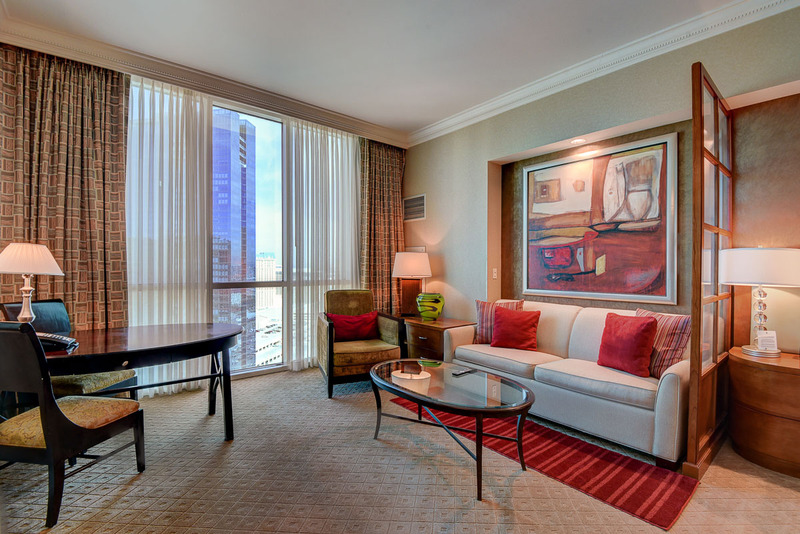 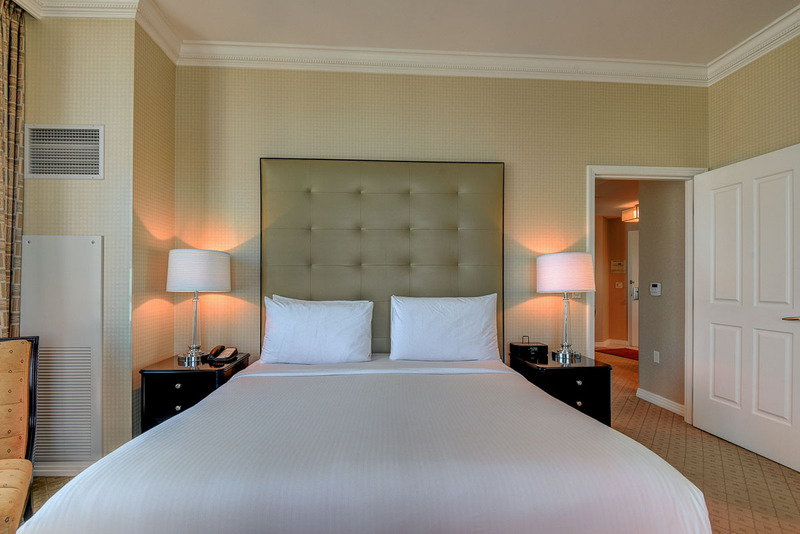 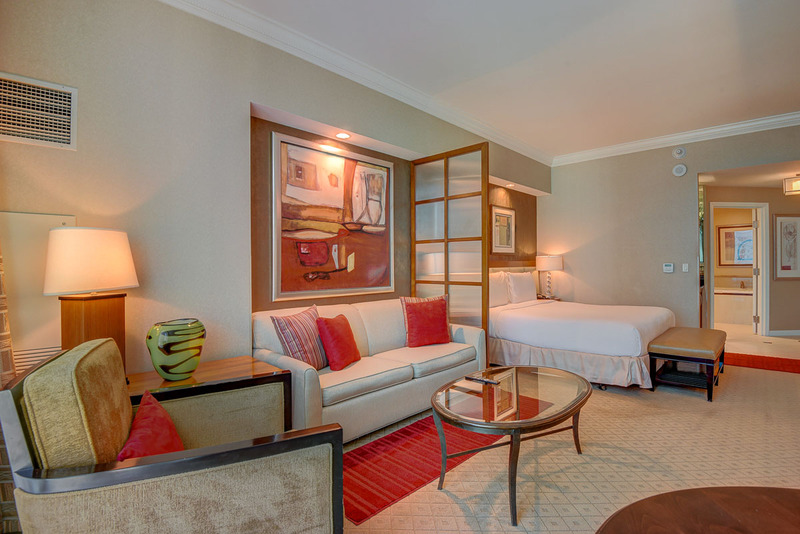 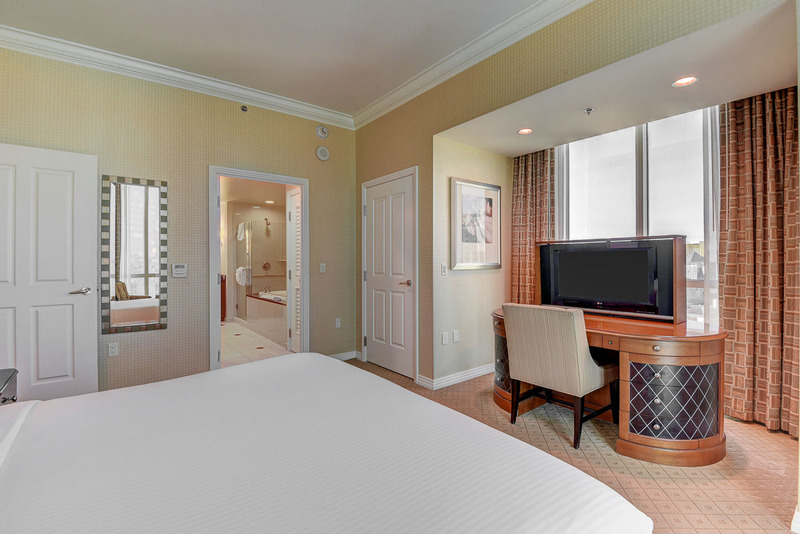 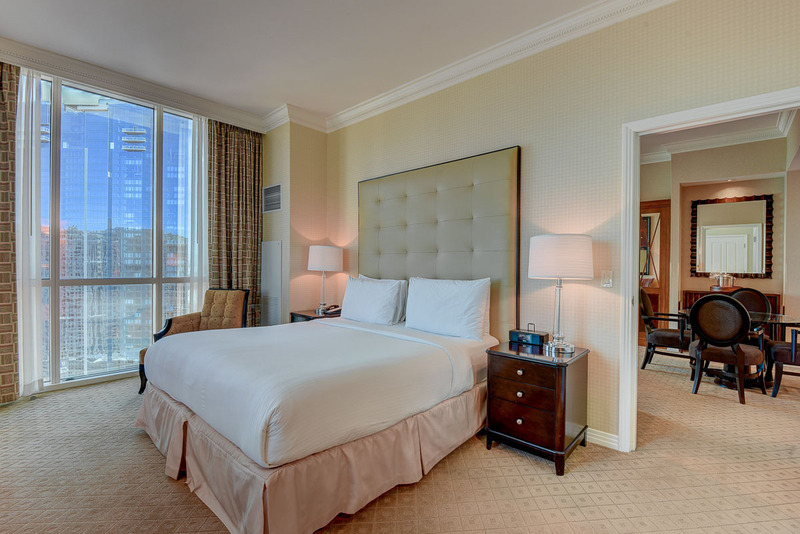 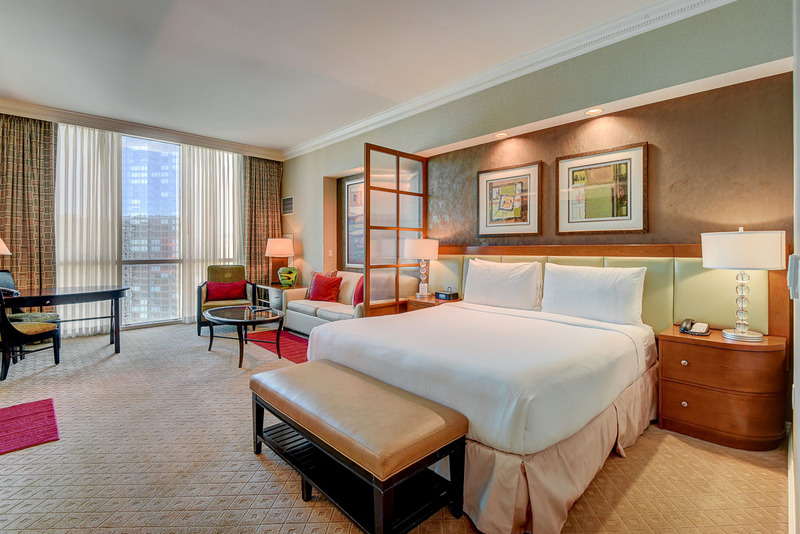 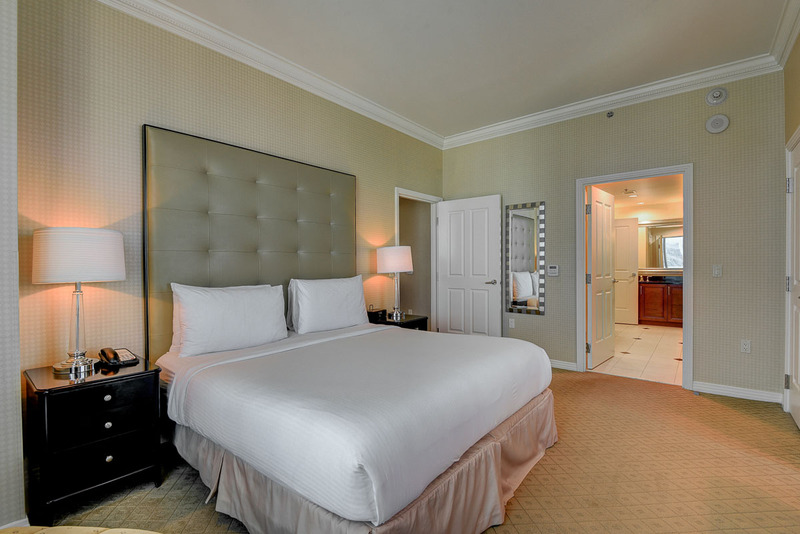 While the Signature Suites sit in the heart of the Las Vegas action, you always have the option to retreat to your luxurious suite in its full comfort and quiet. 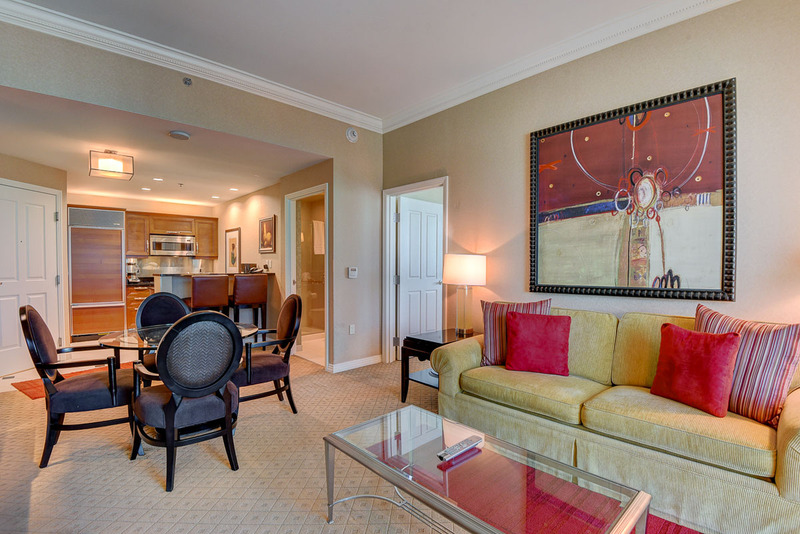 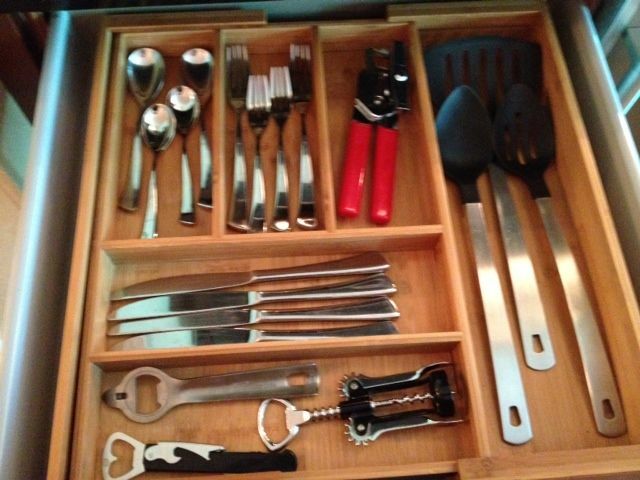 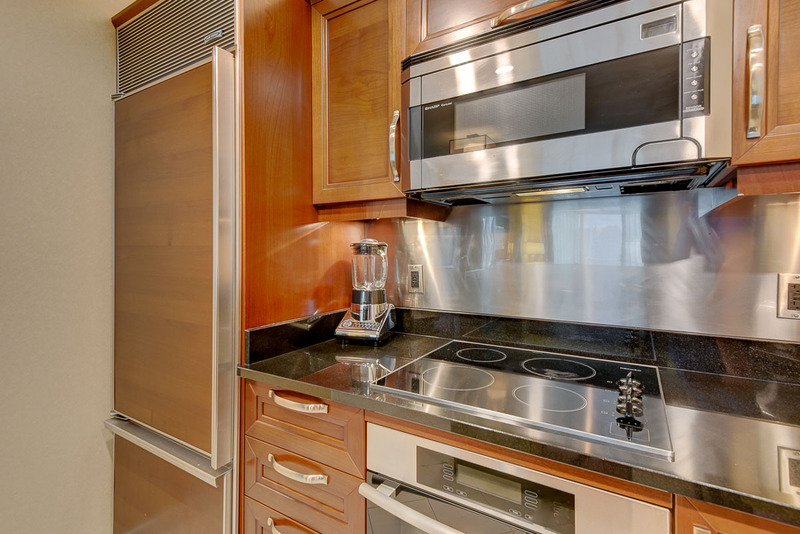 Live like Royalty for less money. 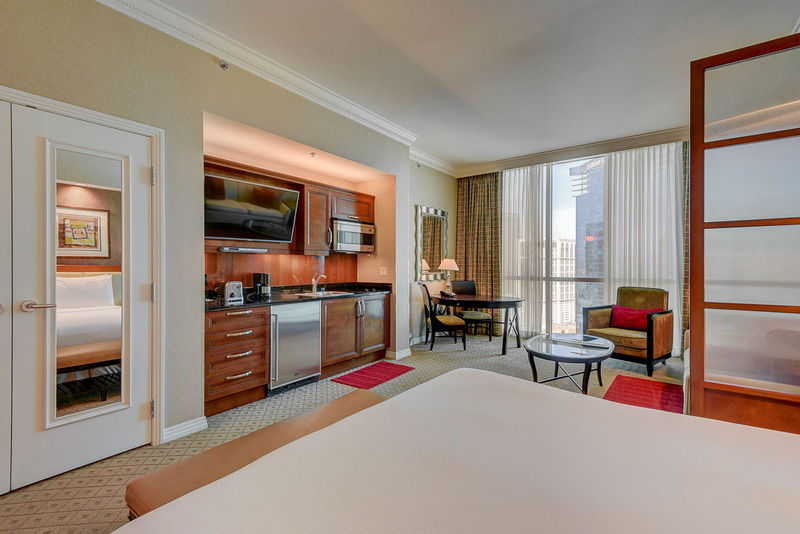 Contact us for your reservation!! 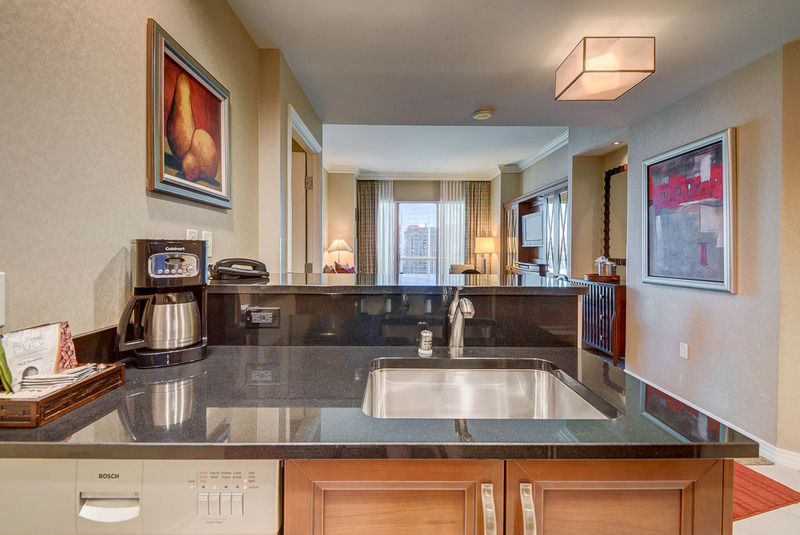 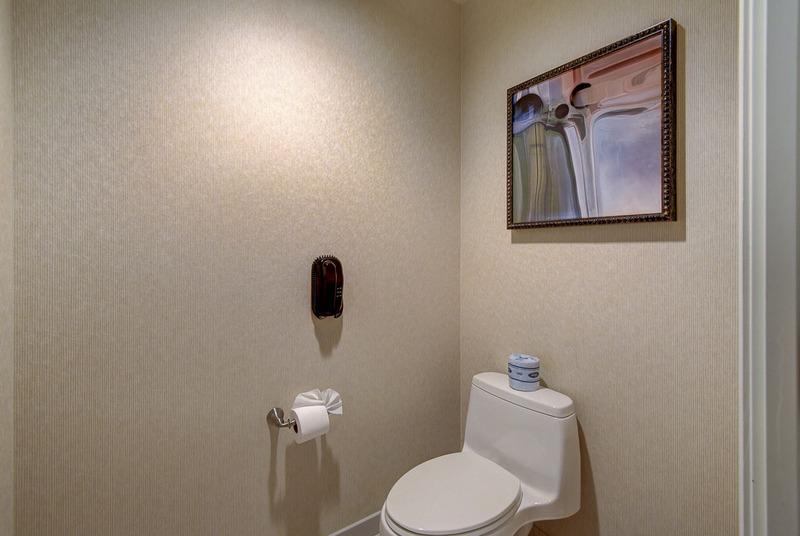 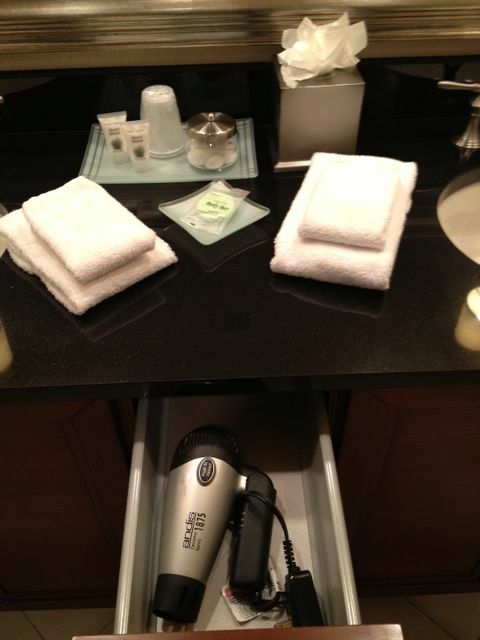 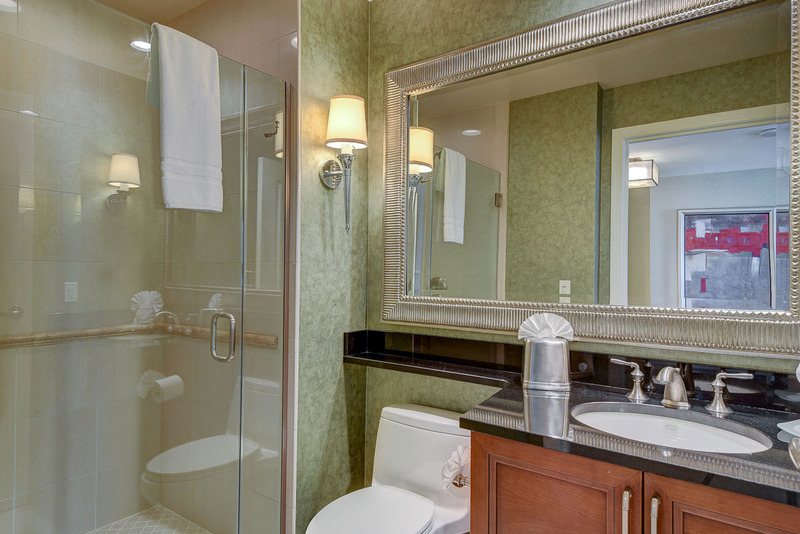 All reservations 7 nights or more will have free access to the private laundry facility in each Signature Tower.